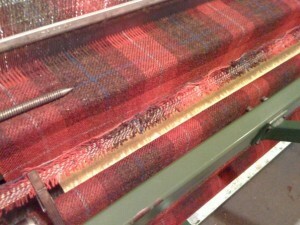 Harris Tweed was once the mainstay of industry in the islands. Despite the huge downturn in production over the years our area still has a healthy number of weavers who continue to produce Harris Tweed from their own crofts. Most weavers use the more modern Griffiths double width loom but there are still a couple of weavers who continue to use the more traditional single width Hattersley loom.